Vehicle accidents, especially ones with injuries, are unnerving and unsettling situations. While the stress of these trying situations will naturally be high, it is important to maintain your composure and remember these helpful tips. Make sure to move yourself and any of your passengers out of the way of potential harm. Check on everyone involved in the accident. Call for emergency personnel if anyone was injured, including yourself, regardless of how insignificant those injuries might seem. Many times, injuries suffered in a car accident, including serious ones, may not present obvious symptom in the immediate aftermath of the accident. If you can leave the vehicles where they are without posing a safety risk, do so. Being able to photograph the accident scene exactly as it looked can be very valuable to your attorney and your case. If leaving the cars where they are poses a safety hazard, though, pull them to the nearest safe place. Also be sure to call police to the scene. The police report detailing the events of the accident is often one of the key pieces of evidence in a personal injury case. After calling the police, be sure to exchange insurance information with the other driver (or drivers) involved in the accident. Also collect the contact and license plate information of the other driver (or drivers,) and contact information from any witnesses to the accident. It is also a good idea to take down the names of the police officers who respond to your accident. Furthermore, you should remain at the scene of the accident until the police depart. 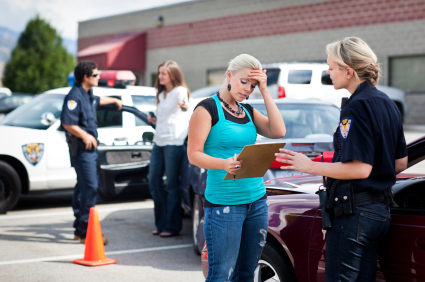 Once you’ve dealt with insurance and contact information, you should try to document the accident scene. If you have a camera on your cell phone (or other camera with you,) take photographs of the accident scene. These photos can be invaluable in recording injuries, damage to the vehicles, road conditions at the time of the accident, and many other pieces of information that you will likely forget as time passes and bits of your memory of the incident fade. With that in mind, also make notes of the accident. Chances are, even though you think you will remember everything about this terrible event, there are aspects (even important ones) that will escape your memory or at least become hazy. After leaving the accident scene, you should immediately contact your auto insurance company to notify them about the accident. Your agent should be able to give you useful information regarding what information your insurance needs from you. Next, contact an auto accident attorney promptly. Your attorney will need to begin work on certain aspects of the case quickly, like helping you gather evidence, contacting witnesses to obtain recorded statements, and retaining accident investigators and reconstruction experts to put together the factual components of your case. The more quickly you contact and retain an auto accident attorney, the better that attorney will be able to help you pursue your case, and get all of what you are entitled to under the law. In our area, consider contacting experienced Jacksonville injury lawyer at the Dorsey Law Firm for help after an accident. No one can give you a certain, definitive dollar-amount answer to that question, absent a jury verdict or a settlement. The value of any personal injury depends on so many variables and unknown factors that make each claim and each case unique. The uniqueness and individuality of each case is one of the reasons why the civil justice system is needed. Conceptually speaking, your case is worth whatever amount of damages the jury determines you have suffered as a result of your injuries. Under Florida law, an injured person may collect two types of damages: compensatory damages and punitive damages. Compensatory damages are intended to, just as the name implies, compensate you for the injuries you suffered. In some cases, a jury may award punitive damages in addition to compensatory damages. Punitive damages only arise when the defendant acted in an especially outrageous manner and, the defendant deserves to be “punished” monetarily for its unconscionable conduct. Punitive damages exist, like most punishments, to serve as a deterrent; hopefully preventing others from acting in a similar manner in the future. Many courts only allow a jury to consider punitive damages after deciding the compensatory award, and most courts also cap the amount of punitive damages a jury may assess. No two personal injury cases are exactly alike, and so no two personal injury cases are worth the exact same, even if the facts of the cases and the injuries resulting from the accidents are extremely similar. 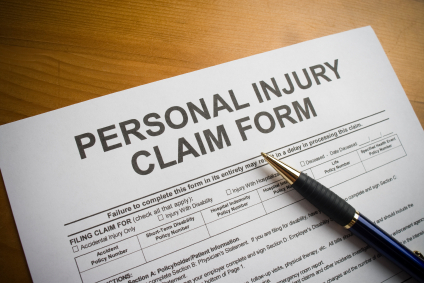 Evaluating the worth of a personal injury case takes years of experience. In our area you should contact a Jacksonville personal injury attorney to discuss the value of your case.